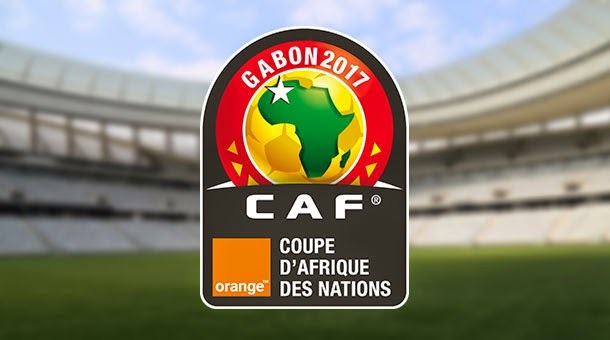 The 2017 Africa Cup of Nations will feature fan parks for the first time, the Confederation of African Football (Caf) has confirmed. Gabon will host January's finals, with the capital Libreville and Port Gentil set to stage fan parks, which were first introduced by Fifa for the 2006 World Cup. Fan parks are areas where thousands of football supporters gather in an enclosed area to follow matches on big screens. "We believe that Libreville and Port Gentil will be hosting," Caf General Secretary Hicham El Amrani told BBC Sport. "In terms of population numbers, these cities make sense. We want the festival atmosphere to be established there." African football's ruling body had hoped to introduce fan parks for the 2015 finals. But Caf scrapped the plans after Morocco was replaced as the host nation, because of fears over the potential spread of Ebola, just 64 days before the start of the finals. A total of four Gabonese cities will be used for the 16-team competition, with Franceville and Oyem also scheduled to host matches. But with local populations under 100,000, they will not stage fan zones as it is feared this could affect the number of spectators at the actual stadiums. When Gabon, which has a population of just 1.5 million, co-hosted the Nations Cup in 2012, matches that didn't involve the host nation in Franceville's newly-built stadium struggled to attract fans. When local organisers resorted to giving out free tickets for the quarter-final in the city between Ghana and Tunisia, the stadium still failed to fill up. "We could have (fan zones in Franceville and Oyem) but actually the main priority is to ensure that the stadium is filled," said Amrani. "We are not sure it makes sense (to have fan zones in these cities) at this stage." Oyem is one of two new stadiums, with a stadium in Port Gentil also under construction. "The completion - if all goes well - will be around October or November," explained El Amrani, who has been in his post since 2011. "We are of course pushing to make it as early as possible so that we have the relevant matches to test the facilities. "But based on what we have seen, because we are doing regular inspection visits, it looks pretty good in terms of the time line and that it will be ready on time." "The good news is that a lot of the elements working with the Organising Committee worked on 2012, so they have a good understanding of the needs of a Nations Cup." "But we are also trying to get an even higher standard than what we had in 2012 - in terms of infrastructure, fan zones, ticketing requirements and logistics." Given Gabon's co-hosting with Equatorial Guinea in 2012, two stadiums are already ready. Libreville itself is set to use two stadiums during the finals, meaning that a total of five arenas will be used at the tournament. These include the Stade de l'Amitie, which hosted the 2012 Nations Cup final, and the Stade Omnisports Omar Bongo, which had been earmarked to stage that match only to miss out because of slow work on its reconstruction. However, the stadium bearing the name of the former president, who ruled from 1967-2009, could well host the final some five years on. "Probably the Omar Bongo, with the larger capacity, will be used for the opening match and the final, but those are discussions we are having - nothing is yet finalised," said El Amrani.